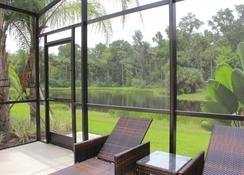 Spread across 5 gated communities, West Haven Orlando is set in a prime location not only for the world-famous theme parks but also for a golfing holiday to Orlando. Walt Disney Resort is 11.2 miles from the property while there are a host of golf courses nearby including Champions Gate which is only 2.8 miles away. These fully furnished 4 or 5 bedroom villas provide a luxurious stay for couples, families with children or bigger groups who prefer their own space that you don’t often get in a hotel. 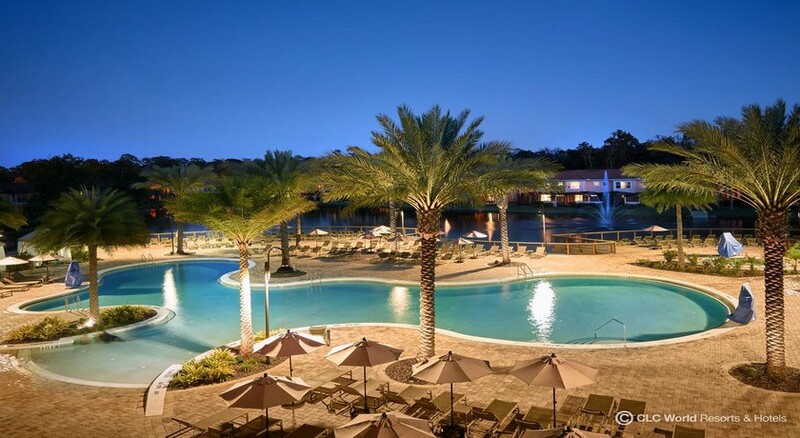 With easy access to the likes of Walt Disney World and Universal Studios as well as several upscale shopping opportunities, you can be assured of a comfortable stay at West Haven Orlando. 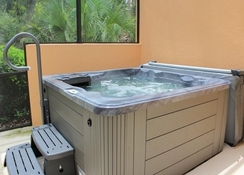 It is recommended that you have a car when staying at this property and it is close by to Walt Disney World (11.2 miles), Universal Studios (20 miles), Florida Mall (23 miles) as well as Disney’s Animal Kingdom (7.9 miles). There is a range of golf courses in the vicinity including Champions Gate Golf Course (2.8 miles), Mystic Dunes Golf Course (4.6 miles) and Highlands Reserve Golf Course (4 miles). The Orlando International Airport is 30 miles away. 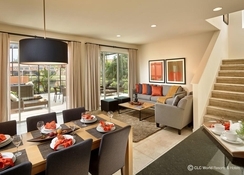 The homes available at West Haven Orlando are either 3, 4 or 5 bedrooms. They are fully furnished in a modern design with all the amenities you need to enjoy your stay including a fully equipped kitchen, satellite TV, WiFi, a pool as well as laundry facilities. 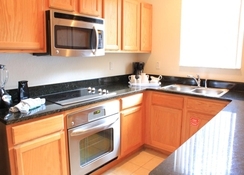 The homes at West Haven Orlando have a fully equipped kitchen with all the items and furnishings you need to prepare your own meals and you will find a Publix Supermarket near to the property. 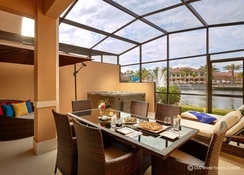 There are many bars and restaurants in the vicinity including The Wheelhouse Bar, Sunday’s Grill and Bruno’s Italian Restaurant not to mention the abundance of eateries within the theme parks of Orlando and the nearby golf courses have a clubhouse. These homes have a swimming pool as well as access to a fitness center. The main theme parks in Orlando are close by if you travel by car which is recommended and there are numerous golf courses that you can play on in the Florida sun. 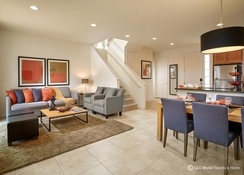 You can visit a range of shopping outlets from West Haven and it offers a suitable location in which to make the most of everything in Orlando and the surrounding area.